Combine ground almonds, sugar, egg whites, vanilla and almond essence in a mixing bowl. Beat mixture with electric whisk on medium speed for about 3 minutes. Let mixture rest for 5 minutes while you prepare baking trays with non stick baking paper and pre heat oven to 180 C.
Spoon mixture into a piping bag with a 1 cm plain tube. Pipe mixture onto the baking paper in a circular motion to form a biscuit. 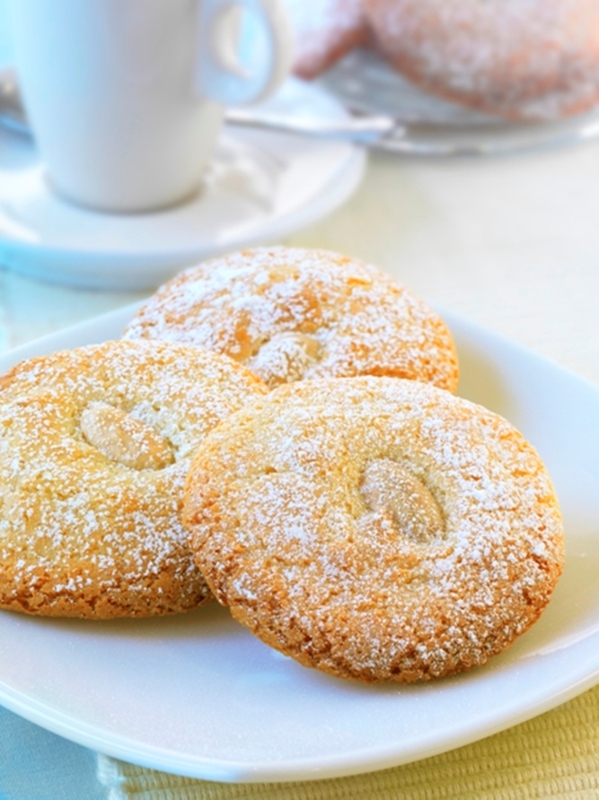 Place one blanched almond on top of each biscuit and bake for about 12 – 15 minutes or until tops are lightly brown. Remove from the oven, leave to sit for a few minutes before placing on a wire rack to cool.